We particularly recommend knives with straight, semi-circular and hook shaped blades with a leading base at the end of a blade. Maximum operating voltage of those knives is up to 1000V AC. Products are compliant with the international IEC 60900:2004 standard. They are characterized with a modern design and aesthetic workmanship. An additional advantage is ergonomic, anti-slip handle with a protection sleeve to prevent hand sliding. 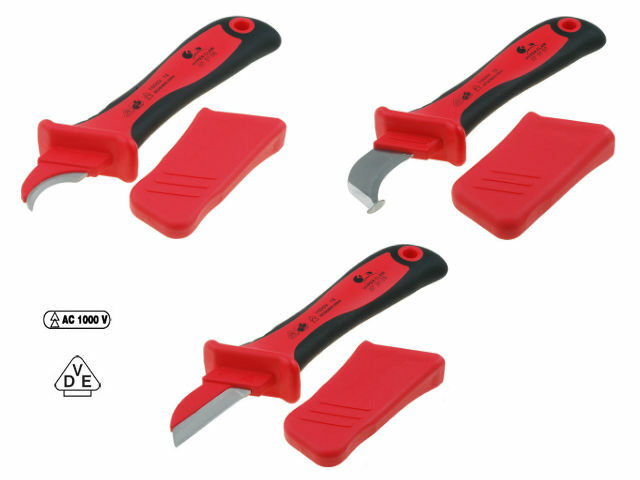 Each of the knives is equipped with a blade protection cap.